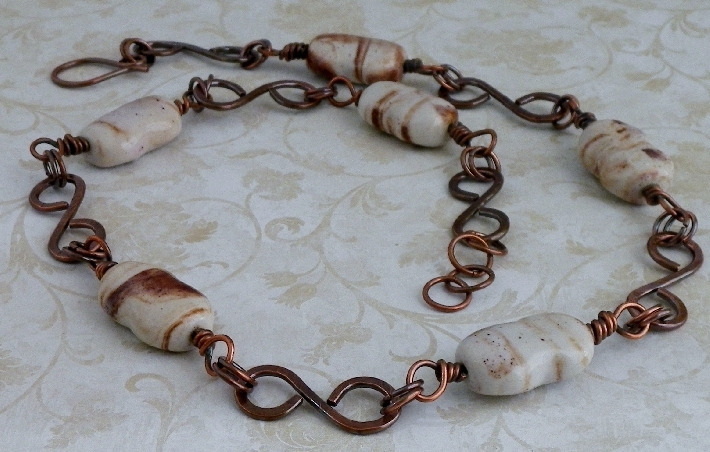 This lovely handcrafted necklace would make a very nice gift for that special someone in your life. 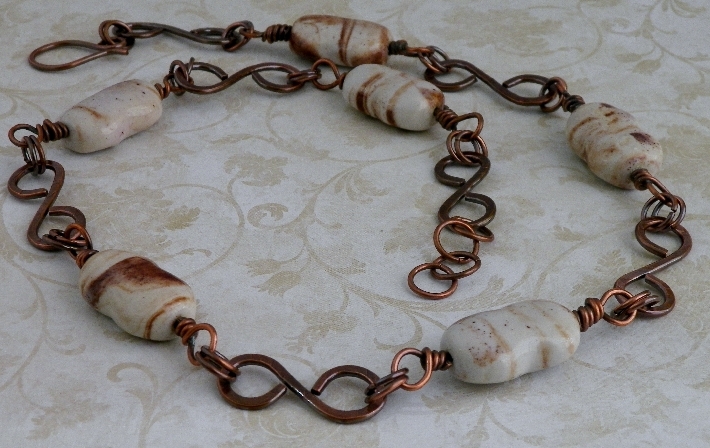 This sturdy necklace was handmade with 14, 16 and 18 gauge copper wire. 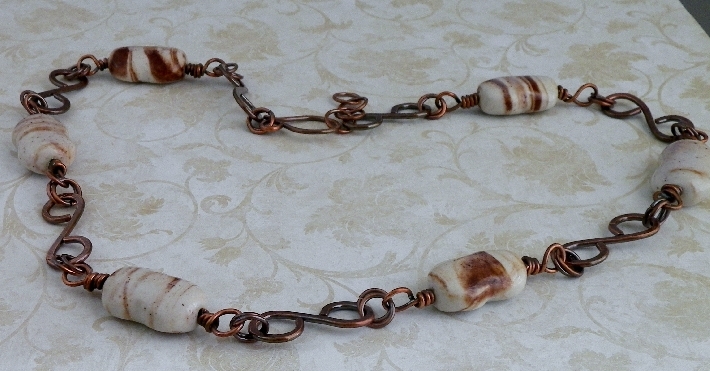 The S loops were all hand-formed from 14 gauge, and hammered for texture, the jumprings were hand-cut from 16 gauge, and the wrapped eye loops with the porcelain beads were made form 18 gauge. 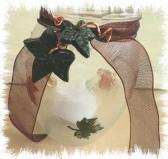 The hand-formed clasp is made from 16 gauge. The porcelain beads are 28x18mm honey/white dogbone. 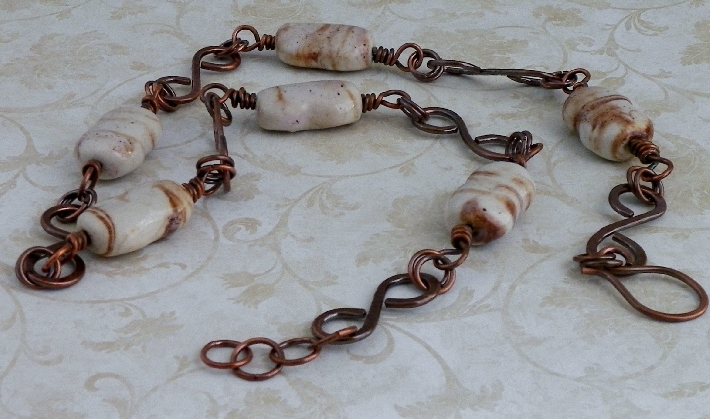 The copper wire has been oxidized and tumbled to work harden and polish. 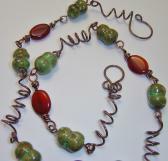 I am very careful not to mar the copper wire, but imperfections do happen and that just adds to the overall character of the piece. 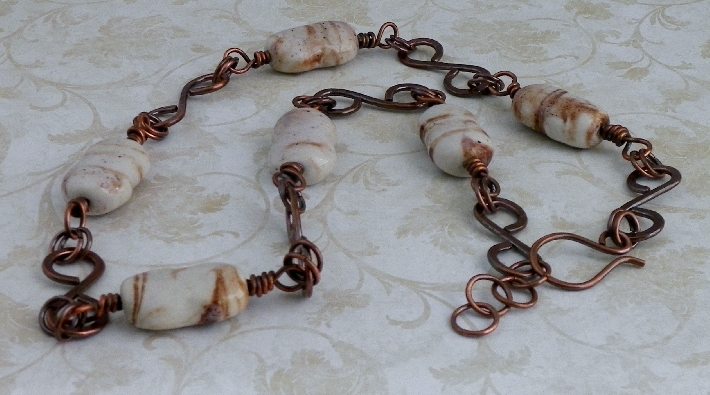 Necklace measures 25 inches with a one inch extension.